Adrian Rubin is a renowned name in the real estate business in the US. With outstanding customer services, and creation of great infrastructure, Adrian has developed enduring client relationships in the span of his career. For him, his client’s satisfaction is the main objective, and for that, he keeps himself updated regarding the real estate industry. His vast knowledge and great experiences have gotten him new clients on direct referrals. This has gained him great fame and he couldn’t have chosen a better career path for himself. 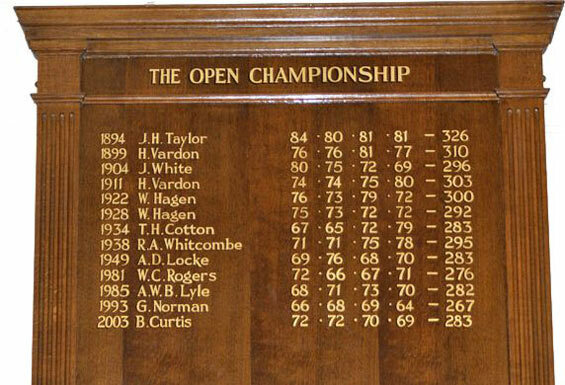 Arguably the toughest of the four Majors, the Open Championship is a serious test even for the most seasoned of professionals. Betfair make world number one Rory McIlroy their 7/2 favourite to win the title at St Andrews, and the Northern Irishman will definitely be a solid choice following his impressive victory at Royal Liverpool last year. How many of you out there have a solid warm up routine that gets you ready to play every time you go out? Maybe you do and maybe you don’t, but I’m guessing that even if you do, you’re still falling short of being fully prepared for the round. Most of us warm up with a couple stretches before a few shots with each of our favorite clubs; usually ending with the driver in a desperate attempt to get a good feeling to take to the first tee. That seems like a harmless scenario…but, does it even come close to accomplishing the goal of a warm up? No. It’s not even close. Truth is…hardly anyone comes close. Golf players know the best way to improve their game is by practice. A game of precision and skill, there are so many factors that must be considered when hitting the links and many beginners need a helping hand in learning the ropes. If you finding it hard to get out on the green or do not have enough time to visit the driving range, a golfing app or game may be the best alternative. 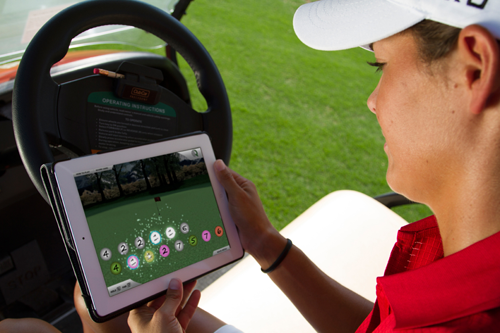 Similar to players who use iPhone casino games to improve their winning chances at a real casino, golf simulators allow for players to get much needed practice whilst understanding more about driving and putting. 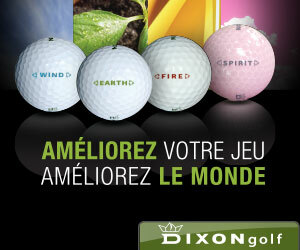 France: A golfer’s paradise. Why is it great to tee off in France? With varied topography and picturesque landscapes, France is a golfer’s paradise. Currently, there are more than 500 golf club courses serving more than 360,000 affiliated members. If you’re searching for a great golfing spot in France where you want your luxurious needs met, Hôtel du Golf Barrière in Deauville has it all for you. It has two prestigious courses – one at the hotel and another near the area (9 and 18 holes respectively). A few minutes away (15km) from Deauville, there two more exceptional courses in the Normandy countryside. But apart from offering guests a great green to tee, the hotel also features 178 rooms including eight junior suites. Rooms located in the left wing of the building have an overlooking sight of the golf course while the right wing guests can expect a view of the surrounding countryside. This year, the hotel was chosen by the France Poker Series (FPS) as the hotel accommodation of the event’s full package winner. He or she will stay at Hotel du Golf Barriere for 7 days 6 nights with one chosen guest from January 29-February 4. Apart from the accommodation, the FPS full package also includes €1,100 buy-in to the FPS Main Event and €200 for travel expenses. Take note that the travel arrangements are excluded from the package. Once you reach the hotel, practice your card skills by playing poker on partypoker français. Take advantage of the reliable wireless connection at Hôtel du Golf Barrière. You can stay in the comfort of your hotel room or while taking your morning/afternoon sunbathing time. The FPS Final event will take place from January 30, 2013 to February 3, 2013 in Casino Barrière de Deauville. Professional poker players who confirmed their attendance for the said event will be Bertrand Grospellier and Julien Brecard, who are both former FPS winners. With the 2013 International CES gadget show taking place in Las Vegas this week, all eyes will be focusing on the future technology which could be influencing every part of our lives, from gadgets to improving the home, to the latest toys to in sport. 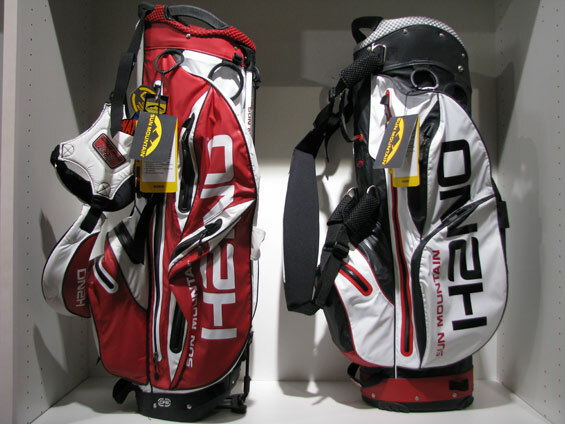 Since the Consumer Electronics Association show is in full swing, I’ve taken the liability of tracking down the latest golfing gadgets already available and set to take the golfing world by storm this year. From GPS mapping to the next generation of golf caddy’s this year is predict to see a big change in the way amateur golfers use technology within the game. I’ll be looking at the top widgets and gizmos which can improve your game and make a day one the fairway even more enjoyable. England’s Justin Rose led the pack by two heading into the final day in the Emirates, having carded a strong four-under-par 68 which kept him ahead of main challenger Jamie Donaldson. Yet Donaldson proved his mettle on that day: smashing the two-stroke lead to finish 14 under for the tournament and one stroke ahead of Rose to claim his second European Tour title.